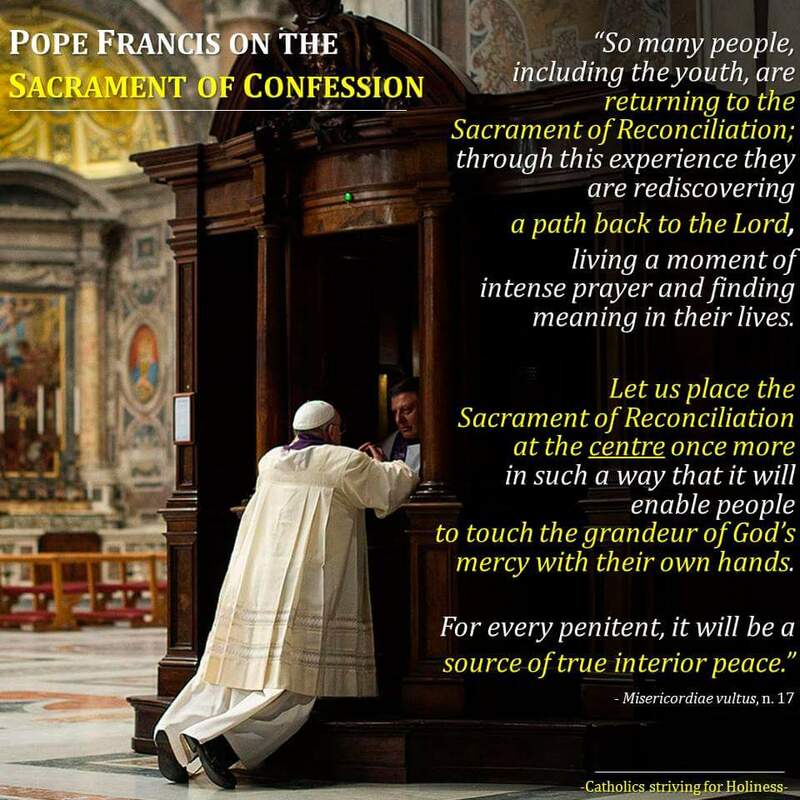 POPEFRANCIS ON CONFESSION: TOUCH THE GRANDEUR OF GOD’S MERCY IN THE SACRAMENT OF RECONCILIATION. Dear friends, let us heed the Pope’s advice to approach the sacrament of Confession these days and in this way we will recover a true interior peace and joy, experience God’s love and mercy but above all, make Jesus happy this Christmas for He will have a “place in the inn” of our heart, soul and life. Cordially inviting you to visit and like our FB page in http://www.fb.com/CatholicsstrivingforHoliness or sign-up to our website so we can have a wider apostolic reach and thus help more people in their Christian life. Thanks! Fr. Rolly A.
POPE FRANCIS ON THE CHURCH: SHE MUST BE HUMBLE, POOR & TRUSTING IN THE LORD.